We can only brag so much about us. Here's what our clients' have to say! ​"I would like to personally thank Larry Leon for locating us a warehouse for our business. He worked diligently to locate a facility that fits our needs. He was extremely helpful with every step. We had a short lead time to acquire a building, with pressing matters came a lot of assistance. Larry was always professional, responsive, tenacious, and friendly. He went above and beyond. You will not meet anyone who has more customer service skills. Prior to meeting Larry we had experienced nothing but frustration with several attempted commercial transactions. For anyone considering a commercial transaction either buying, leasing, or selling we would highly recommend Larry Leon." "My sincere thanks to Larry Leon and his team at Logistics Realty for handling our property transaction with efficiency, thoroughness and professionalism of the very highest order. Larry's breadth and depth of knowledge of the commercial real estate market, combined with his diligence and caring approach is outstanding." "It was a pleasure working with Larry Leon and his team at Logistics Realty on two transactions that, in both cases, left us very satisfied. Larry bought multiple qualified buyers to the table for each transaction and represented himself and our company with the utmost expertise and professionalism. Larry's advice on market conditions and transaction details proved to be valuable as he worked to get a project completed. In addition to being personable and consultative, his "let's get the deal done!" approach reassures that he's doing everything necessary to close on a transaction. I would strongly recommend Logistics Realty based on their experience level, market knowledge and drive. I truly believe the attention they are able to give their clients is the advantage one is looking for to achieve best outcomes." "I would like to take this opportunity to recommend Al and Larry Leon of Logistics Realty, LLC. Their professionalism and knowledge of real estate as it relates to the 3PL industry far exceeds the competition. This is a direct result of focus on the 3PL business, a segment of industrial real estate with unique challenges and opportunities. The Leon's are results oriented and have demonstrated repeatedly that they put their client's interest first. They bring a level of expertise and creativity that instills confidence. I have known the Leon's for 30 years and I am always happy to get personally involved when they bring a deal. Please feel free to call me directly if I can help. I look forward to working with the Leon's on their next real estate opportunity." "It was a pleasure to speak well of the professionalism and diligence of Larry Leon and his team. We have worked together for almost 20 years and successfully completed several deals. From search through end of transaction, Larry's intelligence, ideas and hard-work make it happen." 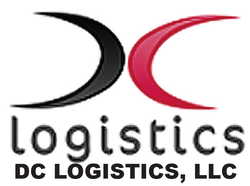 Douglas J. Chaney, Owner, DC Logistics, Inc.
"It has been a pleasure to work with Larry Leon and his team of Logistics Realty, LLC. Larry's get it done work ethic and professionalism has been demonstrated time and time again. We thank Larry for exceeding our expectations with our multi-state real estate needs." "Of the 28 years of this business, I have not worked with anyone who has more tenacious, knowledgeable and professional than Larry Leon and his team. Larry brings level of expertise to a deal that instills confidence." "I have worked with Al leon and Logistics Realty, LLC on several occasions and have found them to be extremely professional, tenacious and aggressive in their approach. 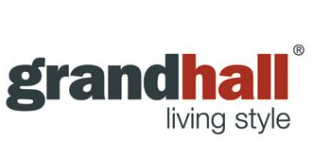 Their customer oriented approach creates long term and lasting relationships with each tenant they represent as well as landlords. In the 15 years I have known and worked with Al Leon, I have seen few brokers in the industry supply their tenant's with the superior market knowledge and ability to effectively and efficiently consummate a transaction as Al. I look forward to many more opportunities in the coming years."